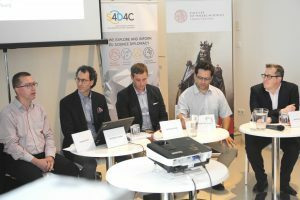 In cooperation with the Czech Centres, our S4D4C colleagues at Charles University organised a panel discussion in the Prague Old Town. a keynote presentation by Tim Flink, German Centre for Higher Education Research and Science Studies (DZHW). Tim presented preliminary findings from S4D4C’s needs assessment survey. James Wilsdon gave an overview of what science diplomacy is and can be by introducing a number of role models and leaders in the field, like: the former New Zealand Chief Science Advisor Sir Peter Gluckman, Welcome Trust’s Head of UK & EU Policy Beth Thompson and the Head of the Iranian Atomic Energy Organization Ali Akbar Salehi. 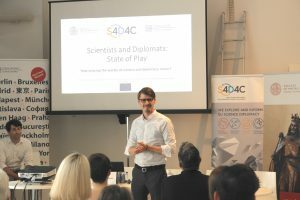 Otakar Fojt explained that science diplomacy is already a mandatory training component at the UK Diplomatic Academy. There are different levels available, the required minimum changing depending on the type of posting. 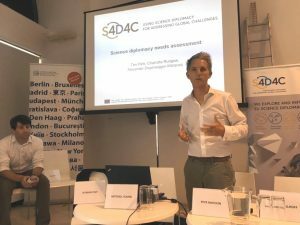 Petr Matolín pointed to challenges for science diplomacy in smaller EU Member States: smaller diplomatic corps and attaché networks mean fewer resources to promote opportunities e.g. 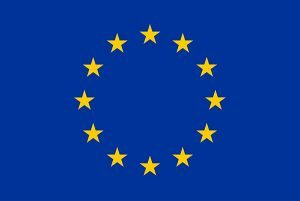 regarding available research infrastructures. Mathieu Wellhoff highlighted some activities of French foreign science policy and science diplomacy. Among those are activities to bring Czech high school students closer to science and research. Discussions with the audience focused on the role of non-government actors (academies, etc.) and on the need for a strategic approach to science diplomacy (geographically, thematically), especially in smaller countries with limited resources. 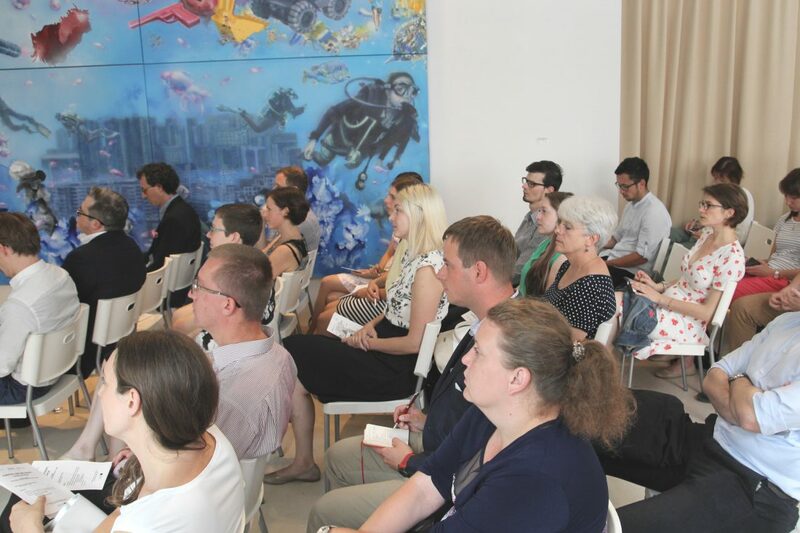 The event, which gathered around 30 participants ended with an informal get-together where speakers and attendants were able to exchange their thoughts on science diplomacy while sharing a drink.